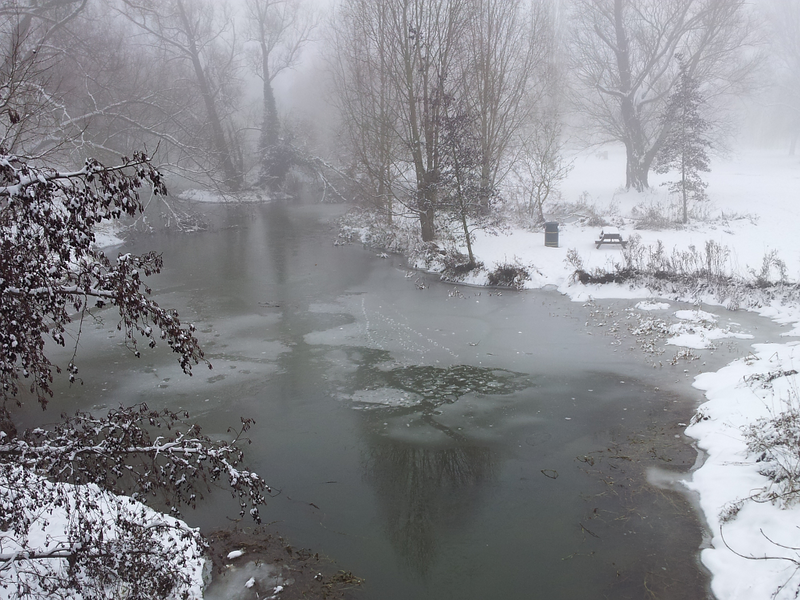 We've had some quite cold weather recently in St Neots, with several light falls of snow. But now the temperature has risen and heavy rain last night washed the last of the snow away. The photo shows things as they were just four days ago, but now there's squelchy mud everywhere. The first snowdrops are in flower and are early signs that spring will soon be on its way. Greetings to all my readers. This is a time to remember warm sunshine and abundant greenery, to enjoy the glitter of frost and the crunchy feel of frozen grass, and look forward to the return of flowers and warm weather. The King is here in all of it. For years I've struggled with the Christmas season. Like all the traditional 'Christian' festivals there are many pagan elements involved and I'm not happy to be associated with those. On the other hand I don't want to be a big disappointment to my wife, friends, daughters, or grandchildren. I have no wish to spoil anyone's fun. In the end I've developed a workable compromise. I don't initiate any of the things that trouble me, but if other people want to do them I try to be gracious and not stand in the way or make a fuss. Between these two extremes is a place that is sometimes difficult, where I must choose between helping with something I'm uncomfortable with or not helping and risking disappointing people. Even here, I can often find an alternative, something to do that will help without directly involving me in the thing I'm uncomfortable about. Greetings - But Christmas cards remain a difficulty. This year I'm going to send out greetings electronically wherever possible and this blog post is one means of doing that. I'll be working out how much money I save by not buying and posting cards, and will give it to a charity instead. So what kind of greetings should I send you? Not Christmas greetings, for sure! Winter greetings, then. How about this slideshow of frosty scenes? They were all taken in St Neots where I live. (If you don't see the slideshow below you can view it as a gallery instead - then click the 'Slideshow' button at upper right). You might also like to listen to 'Winter' from Vivaldi's 'Four Seasons'. Along with the photos and the music, please accept a winter greeting from me at a time of year when (unless you live in the southern hemisphere) the days are short and often cold and the nights are long and even colder. Summer is far behind us, yet it also beckons from the year ahead, warmth, long days, flowers and vivid green leaves turning the countryside into a garden fit for a king. Emmanuel - Fit, actually, for the King. Everything is so beautiful. That's because it contains the essence of the King himself. Creation contains the stamp of authenticity, the mark of its maker. Just look at the beauty of a frozen landscape, could anything be more beautiful? Could it? Well, maybe. Yet all things are beautiful and glorious with the beauty and glory of the King of kings. He is here, in this season, in every season. May he also rest in your heart in love. May you know him and receive him just as he knows and receives you. He is the beginning, the centre, and the end. He is all you need. 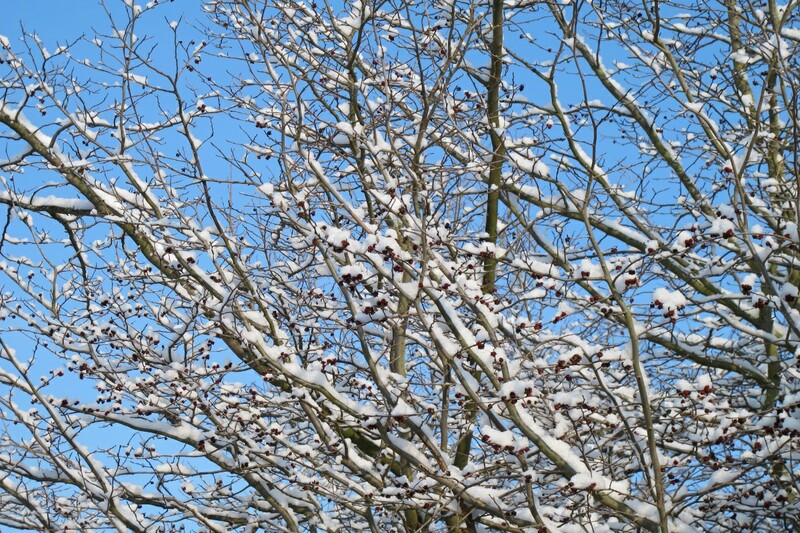 What do you most like about the season of winter? 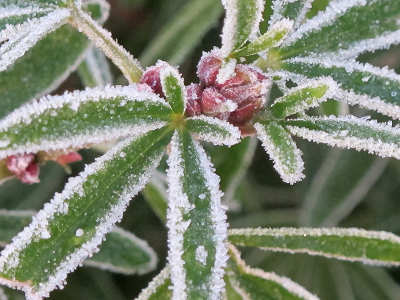 Have you ever wondered why fog freezes mostly on the edges and ends of leaves? Which of the photos is your favourite?